That time was used to great advantage with Wishbone, which showcases a much deeper, nuanced artist. “It’s a heavier album—a bit more playful than the others.” Ted Hutt produced, which Long says was a wonderful experience. “He’s a great guy. Similar to Liam [Watson, producer of A Winter Tale] in his positivity and enthusiasm… We made a really great record together, and I’m really happy about it… I view the record as much his as it is mine. It’s a team effort. The team effort produced an incredible album with multiple layers and intense musicality, but Long’s true magic, as always, lies in his words. He credits Hank Williams and Woody Guthrie, with the ever-present nod to Jeff Buckley, too. The first track, Devil Moon, is an immediate departure from his acoustic past, opening with a driving rock riff that will stick with you for quite some time. “It was one of the first written for the album. The rest were written six months or so before we recorded, so I’ve been playing that one longer,” Bobby says. I’d heard it live and was excited about the new edge to his sound, and he delivered with the album opener. Slide guitar features heavily in She Won’t Leave, the second track. This tune showcases his trademark vocals, salted caramel, with country-infused guitar that warms this Nashville girl’s heart. This flavor carries right through to the next song, In Your Way, but this isn’t a cry-in-your-beer ballad. The lilting lyrics hold a bit of bite, softened by the velvet in his voice and the weeping of the slide guitar. But then I think perhaps the next song, Help You Mend, is my favorite. This tender tune shows a softer side, and Long gives a lighter, loving turn with his voice. The transition isn’t startling, but it is impressive. He handles a raucous rock tune and a sweet ballad with the same skill. As I listened to each track, I quickly fell in love. 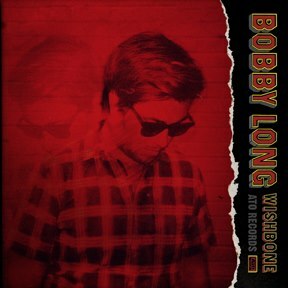 Every song has something unique and memorable and simply Bobby Long. My Parade is another standout, giving him a chance to flex his vocals with soaring lines and pervasive emotion. Yesterday, Yesterday takes yet another step toward greatness, with raw vocals, rough-edged guitar riffs, and a chorus that will stick in your head for days. That same tone carries right through into Waiting for Dawn, where we get some of the classic Bobby Long war poetry in his lyrics. The crowning achievement, the song I just didn’t see coming, is the closing To the Light. This victorious tune of hope is his triumph, and I think he knows it. I could hear it in his voice. As each layer is added, each guitar chord, each cymbal crash, you’ll feel the build to a rousing chorus filled with driving percussion, guitar countermelodies, lush backing vocals… It’s all there and used to such incredible effect. I played it on repeat and felt the chills again and again as though listening for the first time. Well done, Mr. Long. Well done. Wishbone is available today from ATO Records. You can order the full album in several formats on Bobby’s website, on Amazon, on iTunes, and on ATO’s website. Really, really wonderful review! You nailed it. “Wishbone” rocks. That is all.